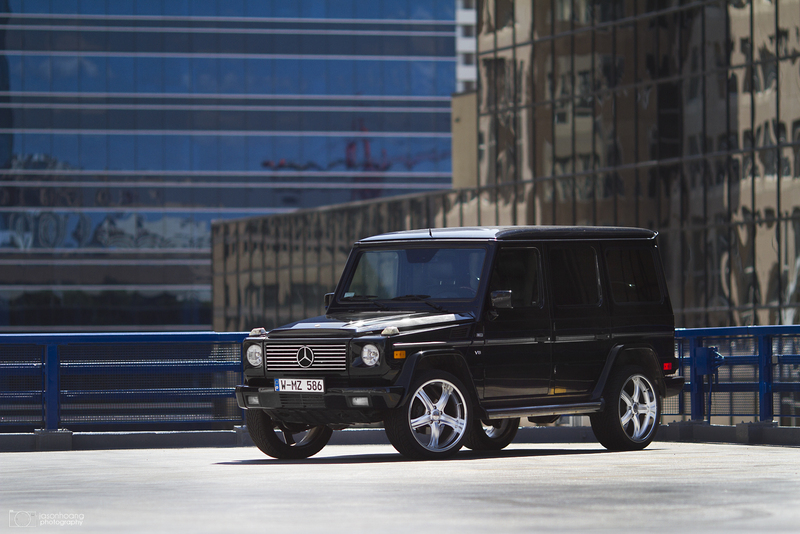 Last night we posted Almond’s Mercedes G500 along with his BMW 335i on his new BBS’s. I went through the pics one more time to re-do them in a higher resolution for him and I always find that going through a batch a second time a little later down the road always seems to work out better. A fresh mind to look at an older set of pictures helps with editing for sure. 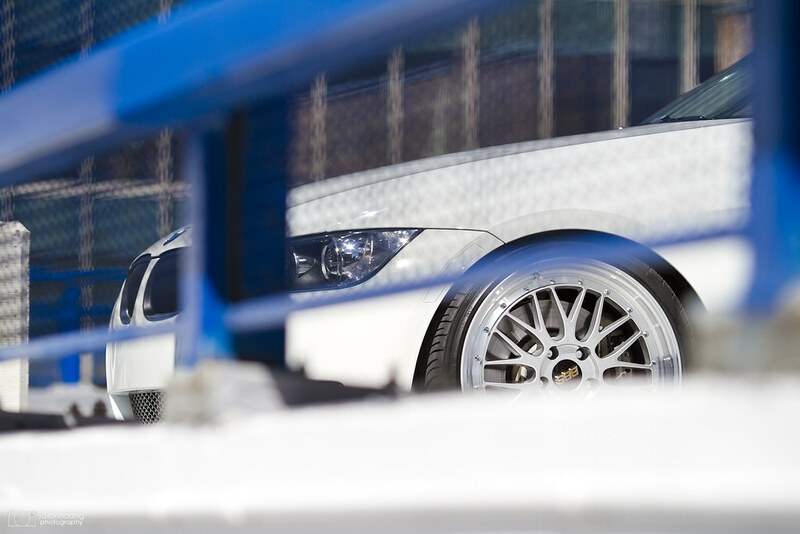 Anyways – here are the newer shots I edited last night. This was taken with his fish eye lens. Loved the way the shot turned out with the outer areas overexposed. 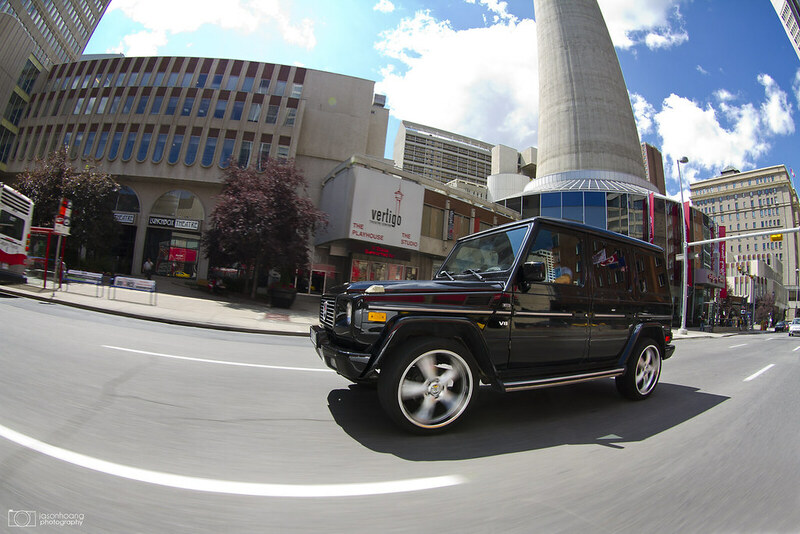 Rolling shot right outside the Calgary Tower. The car is actually massive in person. When we were doing the rolling shots, I explained that he needed to be a certain distance away for it to work and I ended up having to tell him to back off because his car was too big to get into the frame. I had JC move closer to the curb (and kudos to him for taking that risk lol) and Almond move further into the other lane. 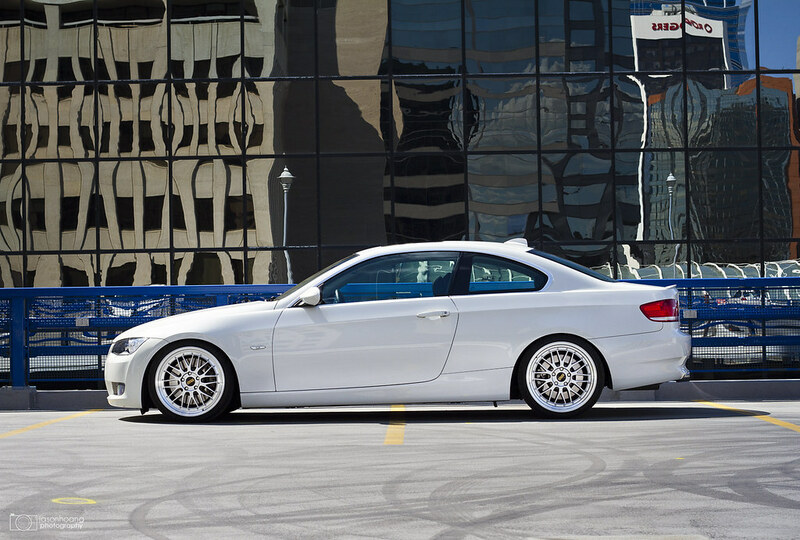 His 335i on new 19″ BBS’s. Timeless.